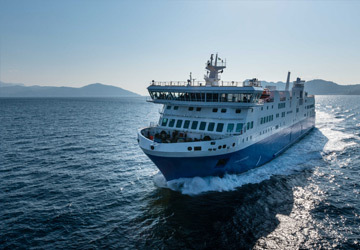 The Civitavecchia Palermo ferry route connects Rome with Sicily. 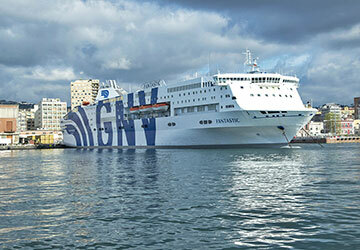 Currently there is just the 1 ferry company operating this ferry service, Grandi Navi Veloci. The crossing operates up to 3 times each week with sailing durations from around 13 hours 30 minutes. Civitavecchia Palermo sailing durations and frequency may vary from season to season so we’d advise doing a live check to get the most up to date information. Prices shown represent the average one way price paid by our customers. 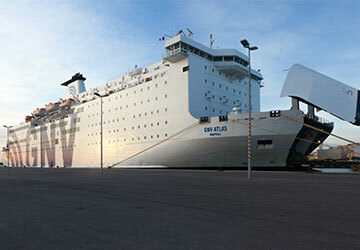 The most common booking on the Civitavecchia Palermo route is a car and 2 passengers. 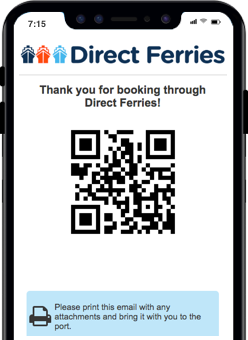 "GNV's ships ok, Direct Ferries's booking service ko!" Nothing to say about the transport service but it was disappointed.. About Direct Ferries instead gives you no service from the call centre. I booked a ticket for 3 persons + car Civitavecchia-Palermo with return (14/08-23/08). After we booked we realized that the return was on the 28/08. After so many times trying to contact the Customer Care by phone(payment call) by email, they let me change the date but they made me pay again. At the end, fortunately, I've got the refund. Next time for sure no more Direct Ferries. And to be honest I do not recommend it. "Good but not really good"
Perfect journey... But the first to arrive is also the last one to landing, we waited an hour, instead the latecomers who don't care to take your advice to be in time can land before us. Nice trip. Missing the possibility of regulate the air conditioner, too cold. Because of the long crossing it will be helpful to add some plugs close to the seats. Compliments, amazing trip we had the sensation like we were on a mini-cruise trip. Hopefully we'll do it again.